If you are not a blogger – or are sick of blogging posts about blogging – you can skip this post :). Lately, I have been spent more time thinking about blogging – then actually blogging. I spent my free time last week setting up my blog design business (and it’s Etsy shop) and I really put blogging on the back-burner. It has given me time to think about blogging, the blogging world and the blogging life. And, it has given me time to rant in my head. And now it’s coming out on paper. This post is not meant to be taken as, “Gosh, she really hates blogging”. I really do love blogging. This is me just being honest. Here go all my random thoughts. 1. I hate stereotypes. I think my whole life I have tried to avoid stereotypes. For me, that used to be the “Christian homeschool” stereotype – but now it is the “lifestyle blogger” stereotype. I hate to be pigeonholed. I don’t really even know what all the blogging stereotypes are. I just don’t want to be defined by them. This is one reason behind my Five Things I Never Will Blog About. 2. 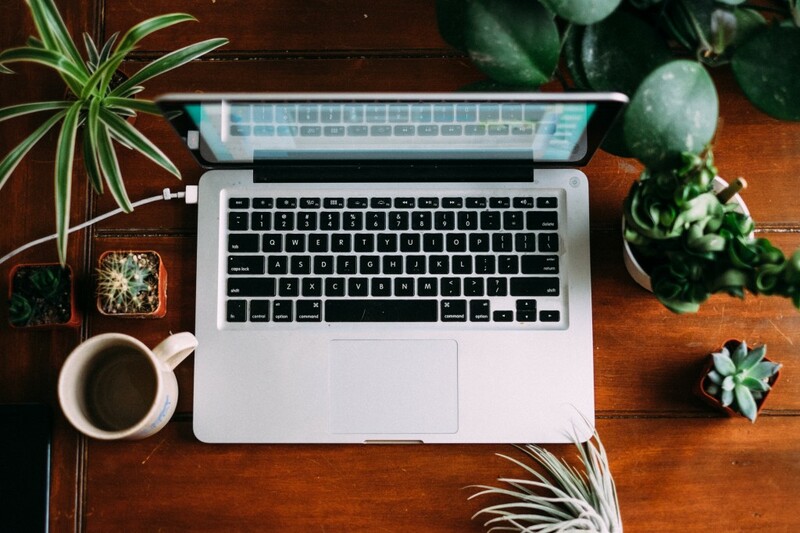 One blogging thing that has me really stumped is the “computer and coffee and all my pretty things perfectly laid out on the table” photo. Like the one above, folks. When do we really have everything perfectly staged on a white table looking down on it from the high-noon viewpoint? Have you even tried taking one of these photos? It doesn’t happen on the first try, that’s for sure. I am not saying this is a bad photo perspective. I just want to know where it came from. 3. Blogging cliques. I am over them. Every blogger out there has their top ten “besties” surrounding them and buying all their sponsor spots and commenting on all their posts. There is nothing wrong with this. I just don’t want to be known because of a clique. And, if I don’t have swarms of people buying my sponsor spots, that’s why. (And I’m cool with that.) Maybe we should talk about the words “bestie”, “littles”, “hubs” and “bff”. Or just not. 4. Let’s talk about the person that coined the phrase, “Just grab a (glass of wine)(cup of coffee)(glass of sweet tea) and stay awhile” – and how rich they now are. Every blogger and their sister uses that phrase. Again, not wrong! I just want to know where it comes from – and I want to start saying, “Just grab a beaker of milk and stay awhile.” Haha. 5. Who said bloggers have to have a signature on blog posts? Or an “About Me” photo and bio? Or a sharing button? I am not saying those are wrong – I even include them when I am designing a blog – but really? Where did they come from? 6. Did you hear about the new documentary/film called “The American Blogger”? I really know nothing about this film – and I really don’t have anything against it. But, part of me is shying away. I don’t want or need to be part of that. I’m fine being on the outskirts over here :). 7. Another thing. When did we all have to become photographers? Because I admire the old film photographers that needed film, a dark room, and crazy skill – I find it hard to jump on the “everyone be a photographer and get a DSLR” bandwagon. I am not really anti-DSLR. And I know they take skill. I just don’t know why I have to be a photographer. 8. Twitter. All of it. In one of my favorite series, Comedians in Cars Getting Coffee with Jerry Seinfeld, my favorite Tina Fey said about Twitter: “It’s like everybody thinks they need an audience for every minute of their life.” Yep. You probably want to shoot me now. Or unsubscribe. Or send me hate-mail. That’s fine. I just wanted to be honest. I am not hating. I am actually do several of these things I am ranting about. I just needed to rant.